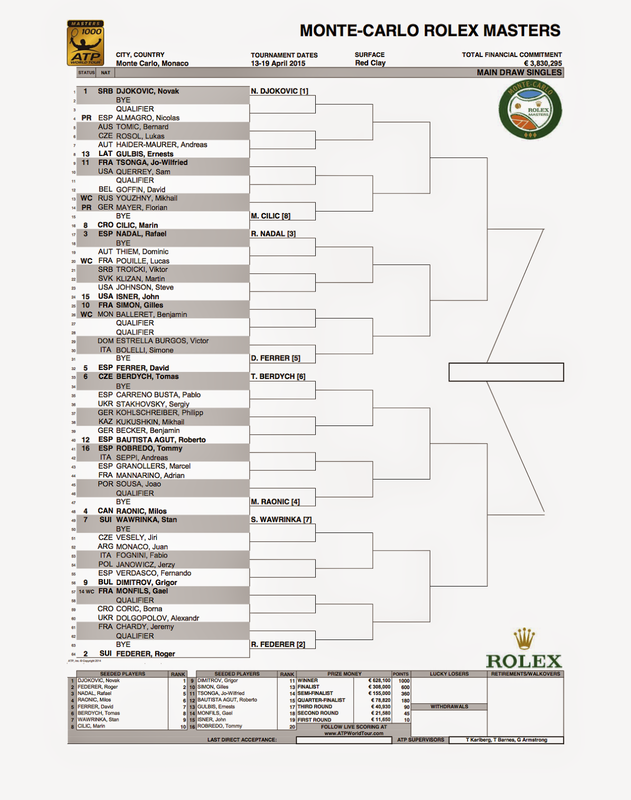 The draw for Monte Carlo is out. Rafa Nadal is the 3rd seed & in Novak Djokovic's half of the draw. A Rafa & Novak potential quarterfinal! Rafa gets a bye in the first round and play either Dominic Thiem or Lucas Pouille in the second. The other seeded players in Rafa's quarter are John Isner, Gilles Simon and David Ferrer.